World’s Greatest in Athletics is produced by Peter Matthews, Richard Hymans and Jonas Hedman. Peter Matthews (GBR, born 6 Jan 1945 in Fareham) has edited the International Athletics Annual for over 30 years, from the 1985 edition. He has covered most major athletics events over the last 40 years, currently as a freelance television commentator including for the IAAF and European Athletics, having previously contributed to coverage by BBC Radio 1975-85, ITV 1985-96 and Sky Sports. He has also announced at major athletics meetings from 1968, including 1970 and 2002 Commonwealth Games, 1994 World Cup and 2003 World Indoor Championships, and worked at eight Olympic Games as commentator or media manager and all outdoor World Championships. A long-time member of the ATFS and Chairman of the NUTS, he was editor of the Guinness Book of Records 1991-5, having previously been sports editor, has compiled general sports books of records, results and biographies and is co-publisher with Mel Watman of Athletics International. 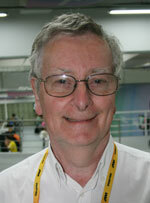 Richard Hymans (GBR, born 2 Oct 1948 in Chorleywood, Herts) is an athletics statistician who has worked with TV as a statistician since 1979, most recently at the 2012 Olympics, and in print since 1976 with world lists as a speciality. 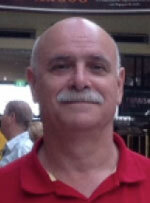 Since 1979 he has been one of the main contributor to the World year men's lists for the International Athletics Annual and has also produced several books over the years. Among others, The Progression of IAAF World Records – 6 editions since 1987, US Olympic Track and Field Trials (two editions), World All-Time Handbook 1945 (1989), and USSR Athletics Statistics (1985 and 1988). Member of ATFS since 1978. Jonas Hedman (SWE, born 8 March 1972 in Västerhaninge) is a journalist, editor, statistician, graphic producer and publisher specialized in athletics. Owner of TextoGraf Publishing company. He has written and published several books, among others Friidrottens främsta män (Sweden’s Top Athletes in Track and Field, men all-time), Swedish Athletics Championships 1896–2005 (together with Erik Wiger) and is the editor and publisher of FRIIDROTT, the Swedish annual book of athletics, since 2007. 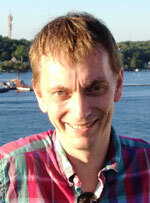 Also editor for the Swedish Athletics Association’s statistical yearbook Sverige-Bästa since 2003 and regularly contributes on their website friidrott.se. Editor for the magazine Friidrottaren (2006–2012). Member of the competition management of the Diamond League meet Stockholm Bauhaus Athletics (formerly DN Galan). Freelance television commentator for Eurosport, TV4-Gruppen as well as for several webb TV productions since 2010. Announcer at various meetings in Sweden. Member of ATFS since 2003.